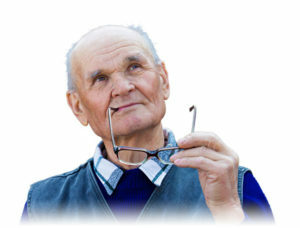 Removal of cataracts is crucial to prevent severe loss of vision. The surgical treatment for cataracts has dramatically evolved over the years. Recent innovations in cataract surgery now make it possible for cataracts to be removed with greater precision and accuracy. Cataract Surgery is one of the safest and most effective surgeries in the U.S.: 98% of all cataract surgeries are performed each year without serious complications being reported. What’s more, cataract surgery gives you the potential to treat cataracts, astigmatism and presbyopia at the same time ( if desired), which may reduce the need for glasses. Go the distance — and everywhere in between. Have your cataracts made you lose focus on activities you love? Ask our eye care surgeon if the AcrySof® IQ ReSTOR® +2.5 D multifocal lens, with its groundbreaking ACTIVEFOCUS™ optical design,1 is a good fit for you and your active lifestyle. ACTIVEFOCUS™ channels light to the part of your eye that processes distance vision. Additionally, it’s designed to provide balanced intermediate and distance vision to help you see clearly at a wide range with less need for glasses. Investing in quality vision – Your eyesight is priceless. It plays a huge role in how you experience the world — and how you create memories with your family, your friends, your community and beyond. Medicare or private health insurance will typically cover the costs of cataract surgery and basic replacement lenses — or monofocals — but there are usually out-of-pocket costs for multifocal IOLs. Offers seamless brilliance for patients with presbyopia and astigmatism. Designed to give you vivid, seamless vision, the TECNIS Symfony Toric Extended Depth of Focus IOL addresses both presbyopia and astigmatism while delivering a full range of continuous vision. The TECNIS Symfony IOL is the first lens of its kind to combine two unique technologies for outstanding visual performance. It elongates the focus of the eye to provide continuous, high- quality vision. It corrects chromatic aberration (color distortion) to provide sharp vision in all lighting conditions. Your ability to see in dim light can define when, where and how you’re able to spend your independent time. With the TECNIS Symfony IOL you may be able to comfortable enjoy low-light activities such as taking a walk at dusk, going to the movies or even driving at night. So, how do you and your doctor decide which type of IOL is best suited for your needs? Would you like the chance to be glasses-free after surgery? Talk to your doctor, consider the options and select wisely — you have one chance to choose the IOL that will change the very way you see the world!